For those of you who have purchased the Poliquin Entry Level Lab Test Package, here are the instructions on how to properly run the test. Next year I will be putting on a number of seminars the first of which is part of the Four Seasons Seminar series on March 18-20th, 2011 at the Firesky Resort in Scottsdale, Arizona. We will have a number of speakers, most of whom are health care practitioners, who will address the issue of Chronic Illness and the Endocrine System. Flyer Four Seasons Seminar Scottsdale. In September 23-25th, 2011 we will be holding the second seminar in Bellevue, Washington with the focus being on Inflammation. We will be sending out more information on that shortly but don’t forget to save that date. My second seminar is a two-day lecture on all things about laboratory testing. From basic blood chemistry’s to organic and amino acids, enviromental toxicity testing and food intolerance, you will walk away with a deep understanding of when to order a test, how to get the most out of the results and what are the best labs to utilize. Also, I will be sharing my 27+ years of experiences in the health field like how to lower systolic hypertension for pennies a day, testing to see whether you are hydrated adequately while sitting down, where I look for the latest in health and medical research, how to properly read and interpret research and much, much more. 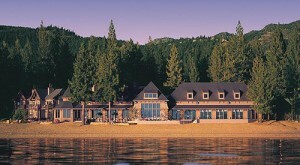 Both breakfast and lunch will be provided in a one of the most beautiful settings in the world, Lake Tahoe. Seating is limited so sign up here soon as it will sell out quickly. Also, don’t forget to head on over to my podcast site where I talk about research in the field of health and the environment. Lots of great information there.